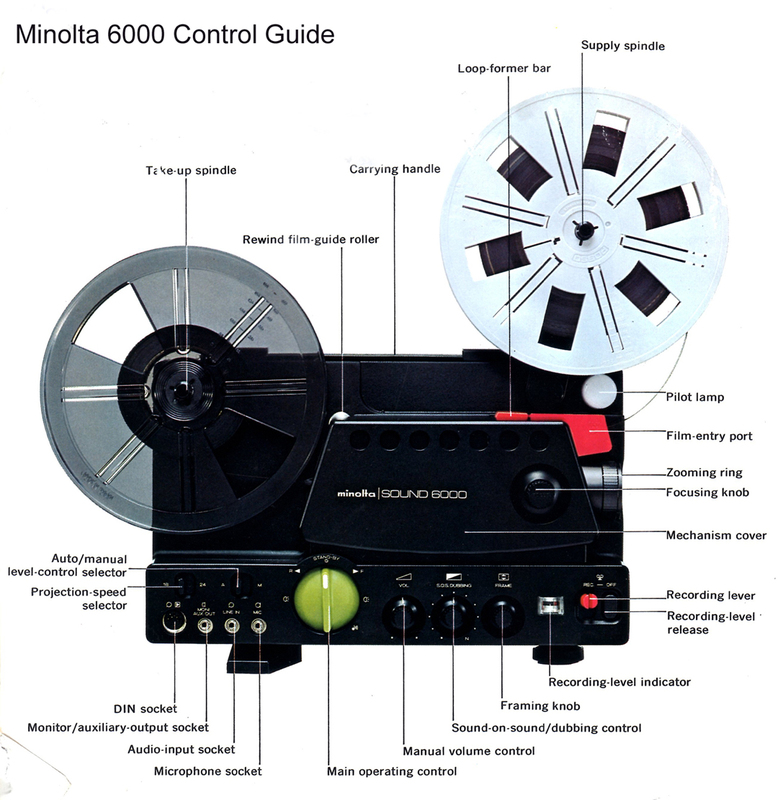 For running all silent and sound super and single-8 (not standard 8mm) films. 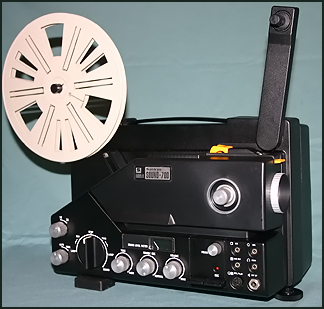 All super 8mm projectors on this page are among the best and most reliable projectors made, totally restored to New running condition. They are for running Super-8 film or Fuji's Single-8 film only. 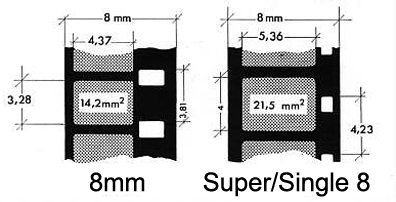 Super-8 and Fuji's Single-8 film are the same film format, so both will run on any Super-8 projector. 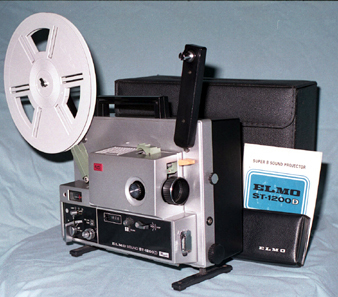 You cannot run 8mm film on a projector designed just for Super-8/Single-8 film. 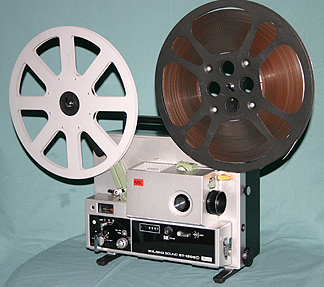 If you need a projector to run older standard 8mm film, click HERE for Standard 8mm Silent and Sound Projectors. 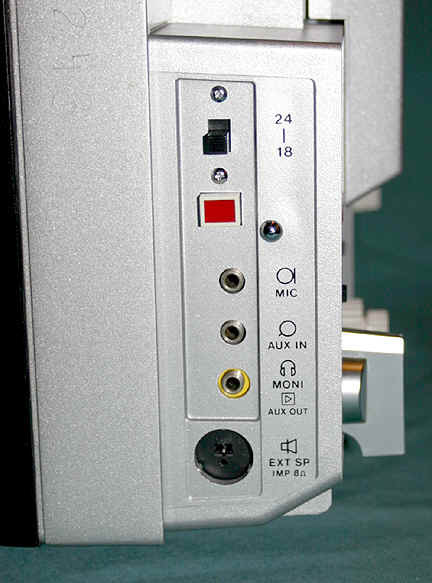 All projectors are single track mono sound unless noted as being 2-track or stereo sound models. 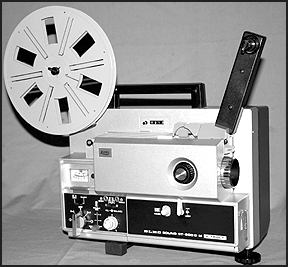 Most dual 8mm projectors, that can run both 8mm and super-8 (single-8) film, tend to sacrifice performance and film safety. For this reason I have never cared for most of them and will not have any, except for the early Eumig dual-8 sound (tube amplifier) and silent models. 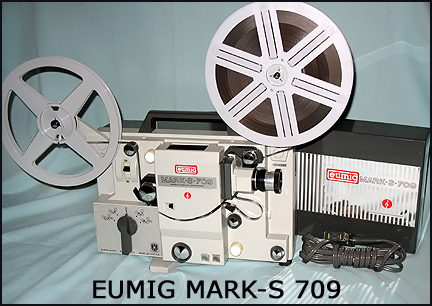 The Eumig models incorporate separate sprockets and film gates to be switched out for each film format and run the films excellent and safely. All Eumig projectors I will list are the older models and thus have to have extensive refurbishing done to make them perform and last like a new projector. Most will have totally refurbished drive discs and motor mounts, among other major parts replaced and re-adjusted. 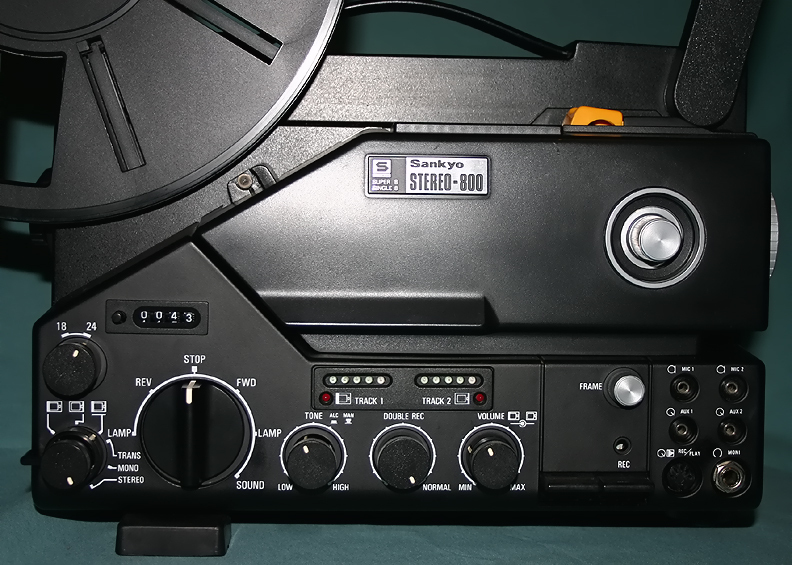 All of the projectors on this page will run your film perfectly and safely. A number in brackets ( ) indicates if I have more than one of that model. No discount on these projectors. 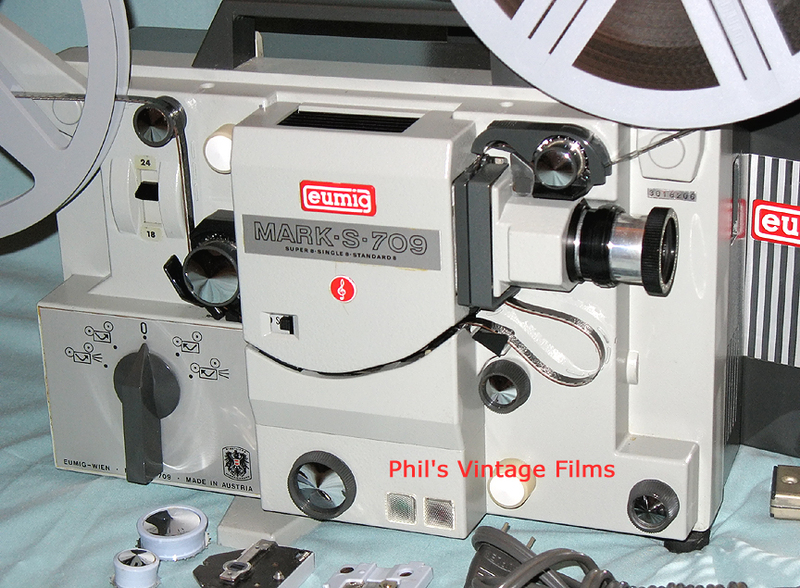 Super 8 movie projectors by Elmo, Bell & Howell, Sankyo, Yashica, Eumig and other sound and silent models are avaliable off and on so keep checking back if you don't find what you want. 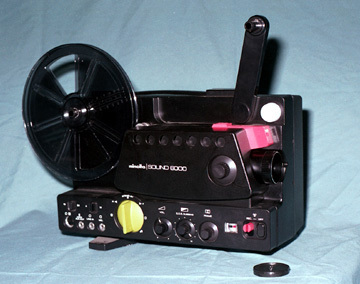 All super-8 projectors have automatic threading. Most will be in Mint condition. 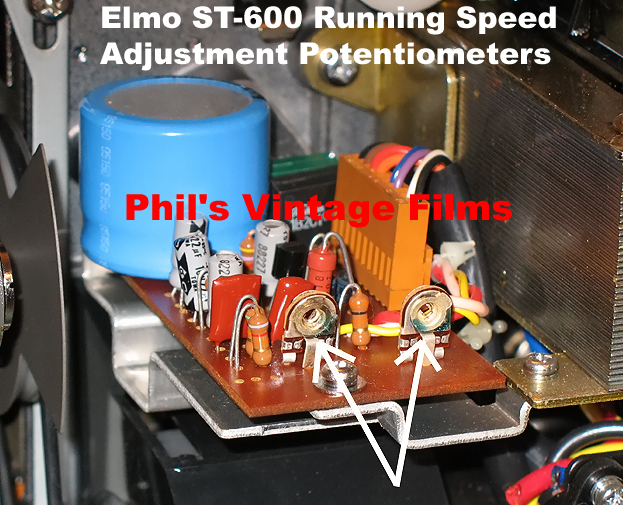 All super 8mm projectors are cleaned, checked, lubricated, repaired and new parts installed as necessary to restore to perfect running condition. All come with the power cord, take-up reel, good bulb, instruction book and a magnetic sound film so you can test it as soon as it arrives. Other accessories are included as indicated. 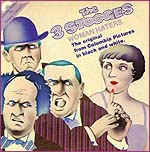 All sound projectors will run silent as well as magnetic sound films. 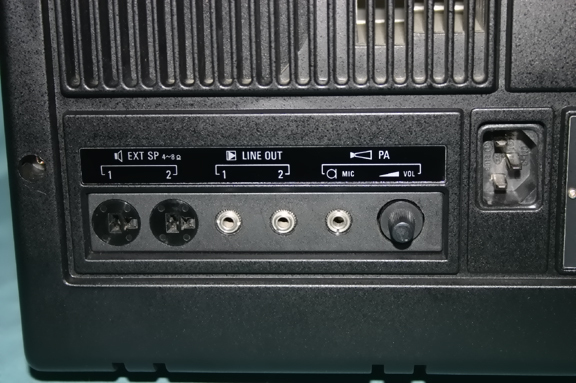 If indicated, some of the projectors here are excellent to use for transferring film to video, but none have the capability of transferring the image to video through a line output. You must use a video camera to take a picture of the projected image if you plan to use the projector for video transfer. Any line outputs mentioned in the descriptions are for audio only. 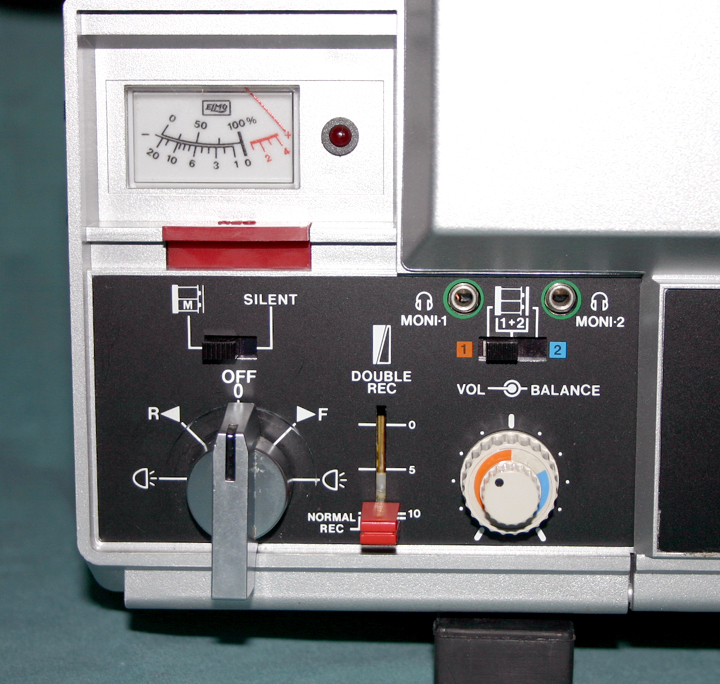 All are 115 to 120 volt unless noted as having multiple voltage settings. Most are capable of variable speed adjustment using two adjustable potentiometers on a circuit board inside the back covers using a special plastic adjuster you can get at Radio Shack for $1.29. 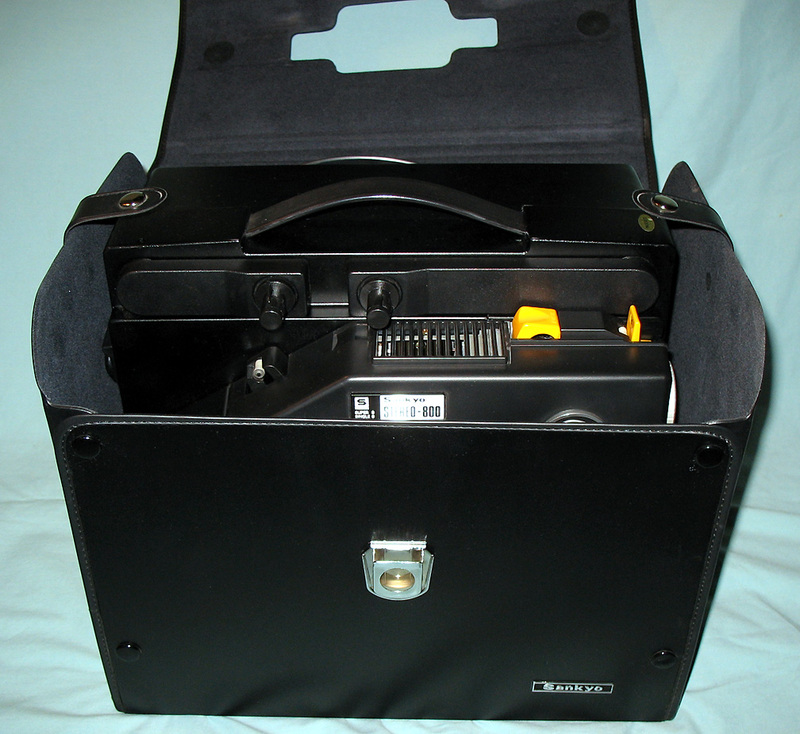 However I will not accept a return on a projector for any damage caused by using improper tools or otherwise causing damage to the projector while adjusting the potentiometers; or from making any other adjustments or modifications to the projector. I do not take in repair jobs. I just service the projectors I refurbish and sell myself. All projectors are guaranteed to be as described and running perfectly for a full 60 days after delivery date, or I will repair it or replace it for another comparable model. 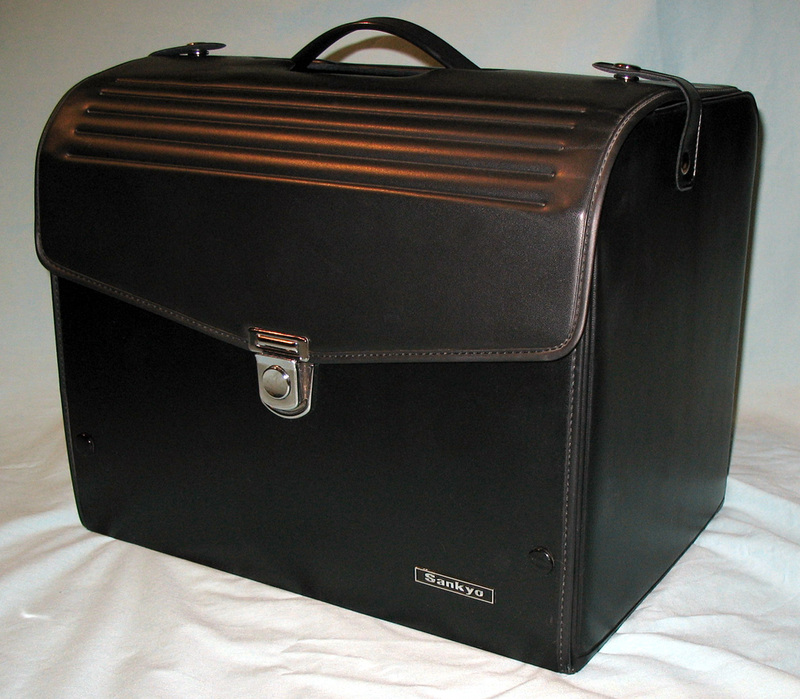 If it cannot be repaired and I don't have a satisfactory replacement, I will give a refund. Please be sure about the type projector you need and what you order. If, after you first receive the projector, you want to return it because you bought the wrong format, thought it did something I indicated in the description or on the page heading that it does not do, or you just decided you don't want it after all, I will issue a refund less the initial shipping, Paypal fees if that applies, plus a re-stocking fee of 25% of the selling price of the projector. 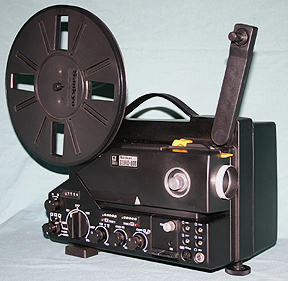 For showing Sound and Silent Super-8 films only. 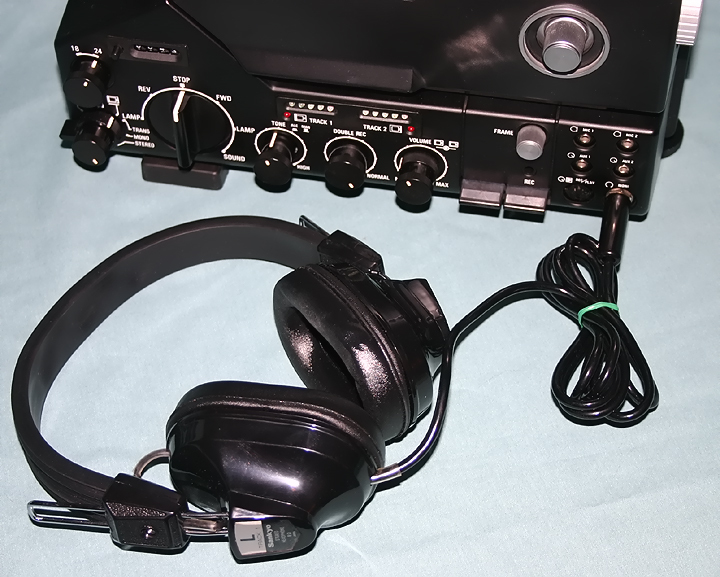 With Stereo Playback Through an External Stereo Amplifier. Any item or film that is in RED TEXT means that it is on hold, but I haven't yet received the order. This means when I receive the order I will remove the item, or if I do not get the order I will leave it listed and change the red text to black.